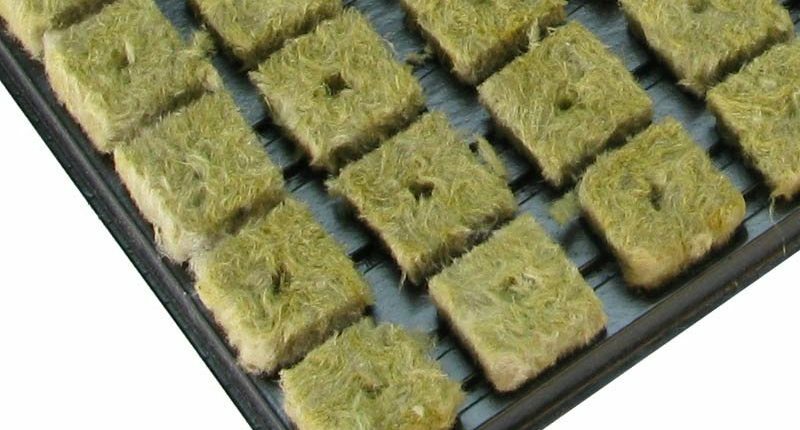 Some growers might be hesitant to use rockwool as a substrate in hydroponic productions because of its cost compared to other substrates. I wanted to touch upon why rockwool will save an operation money in the grand scheme and why it’s important to always balance the cost with the effectiveness and yield; after all, it’s not the seeds you plant, it’s the harvest you reap. 1. Better control over water and nutrition: Multiple substrates including rockwool, peat, sawdust, etc. have excellent water holding and release characteristics. The major drawback of both peat and sawdust is that they decompose over a period of time. As decomposition continues, the water holding capacity of the substrate changes. This means the grower needs to be aware of not only the growth of the plant but the changes in its substrate as well. 2. Ease of handling: Many other substrates need time to rehydrate, but preparation is much quicker with rockwool as rehydration isn’t necessary. Ready to use almost immediately, this uniformity makes for superior plants because of superior irrigation and control. 3. Superior disease management: The sterile production of rockwool under extreme temperature ensures that rockwool is always clean and sterile, eliminating the chance of already having a disease or pathogen living in your substrate before use. All of these factors point to labor and time savings, better uniformity and more yield at a lower cost.